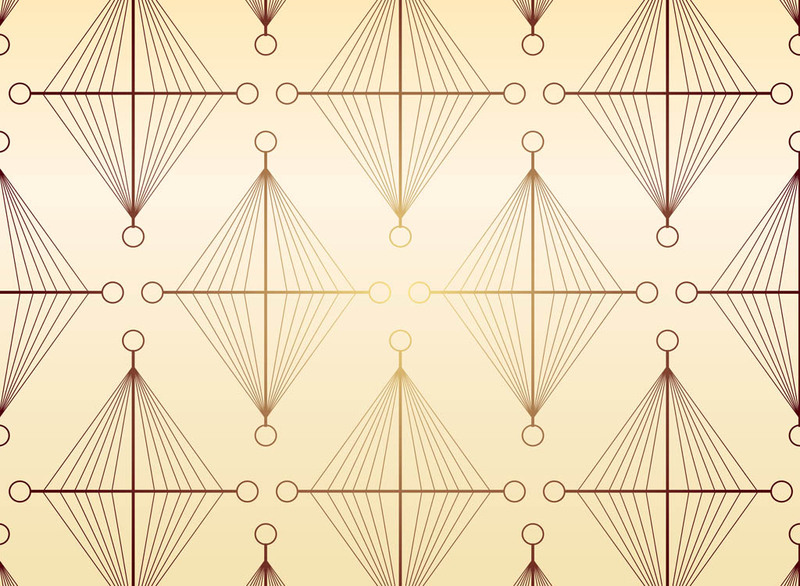 Retro vector pattern with lines and geometric shapes. Gradient colored layout with diamond shapes made out of lines and circles. Free vector decoration for retro wallpapers, backgrounds, backdrop images, posters, flyers, brochures, greeting cards, event invitations and adverts visuals. Tags: Circles, Decorative, Geometric Shapes, Geometry, Lines, Retro, Vintage.